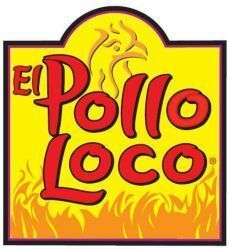 El Pollo Loco Holdings Inc. (Nasdaq: LOCO) stock soared more than 33% from its offer price today (Friday), the company's first day of trading. El Pollo Loco is a California-based, quick-service restaurant chain with 401 locations in California, Arizona, Nevada, Texas, and Utah. The company specializes in flame-grilled chicken and a variety of Mexican-themed dishes. The company announced last night that it priced its shares at $15 each – the high end of its initial $13 to $15 range. Then LOCO stock opened this morning at $19 and climbed as high as $20. Through the IPO, LOCO sold 7.1 million shares and raised $107.1 million. In its IPO filing, LOCO reported that it experienced revenue growth of 7.2% in the first quarter of 2014. It's also had positive same-store sales in each of the last 11 quarters. On the flip side, the company did report a loss of $16.9 million in 2013 after having lost $7.9 million in 2012. At the time of the initial public offering, LOCO had a market value of roughly $538 million. According to the company's IPO filing, it will be using much of the money raised to repay debt. Jefferies Group LLC, Morgan Stanley (NYSE: MS), and Robert W. Baird & Co. served as the lead underwriters on the deal. FRSH) has seen its shares fall 20% since its IPO in May. However, chain restaurant Zoe's Kitchen Inc. (NYSE: ZOES) has seen a 29% increase from its open price. Big first-day "pops" for stocks are common among companies that have just completed an initial public offering. One of the most noteworthy of 2014 was GoPro Inc. (Nasdaq: GPRO), which closed its first day up 31% from its offer price after climbing as high as 37.5%. GPRO stock soared 103% in its first four trading days.